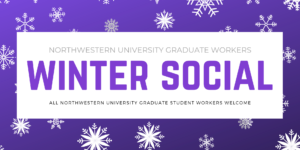 Northwestern University Graduate Workers (NUGW) is an organization of graduate student employees from across the university dedicated to making Northwestern a better place. 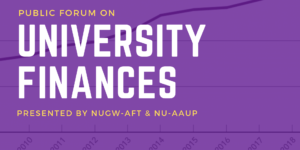 We are committed to building a strong and democratic union that advocates for the working rights of all graduate employees and ensures us a seat at the table. 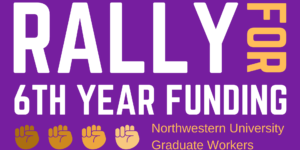 NUGW is united in a basic principle: that the fight for a greater voice in the decisions that shape our teaching and research is a fight for a more robust community for all Northwestern students and workers.